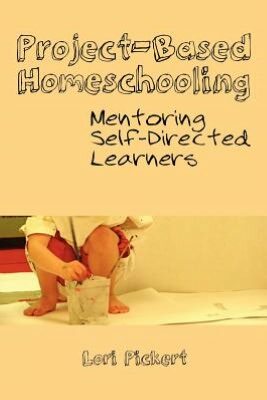 Project-Based Homeschooling: Mentoring Self-Directed Learners by Lori Pickert is a rare book that both inspired me to make changes in the way I homeschool and gave me the practical means to make them. I’ve long enjoyed Lori’s Camp Creek Blog (now Project-Based Homeschooing) and loved the idea of seeing my children happily immersed in projects of their own design, but I never took any action on it beyond occasionally prodding them with a “Wouldn’t it be fun to do a project? What would you like to do a project on?” Strangely, my 7 and 8 year olds never ran with that approach. Lori’s book has made it all much clearer and helped me see where I’ve been going wrong in the past. Who does what in a project? You lead the way and have all the ideas, I do what you ask to support you. This could mean buying materials, helping you find a book, helping you find something online, talking through ideas together, reading something aloud, helping you find software, planning a field trip etc. Or me just sitting next to you making notes as you talk to help you remember your ideas. How long is a project? It can be as short or as long as you want it to be. From one day to a year! You get to decide when it’s done. Between projects you’ll be able to use our project time to explore our materials or do whatever you want. How do you choose a project topic? It can be on anything at all you’re interested in, and whatever particular aspect of that you want. For example, if you did electricity and magnetism, you might start finding out about it generally, then find one aspect or one person you want to find out more about, and you might go down that path for a while – whatever you want. There are three main parts of a project: finding out about the subject, finding a way to share it with other people, and actually sharing it. Sharing it might mean by means of a picture (in paint, pencil, charcoal, watercolour pencil – whatever you like), a three-dimensional piece of art (in clay, wire, junk, pipe cleaners, wood, sand etc) or using photographs, video or computer software, or you might make a little book about it, or write a play and perform it with costumes or puppets… or any combination of different ways. When you’re ready, we can share it with our family, invite friends over, take it to our homeschool group etc. Working with other people: As well as sharing what you create with other people eg by inviting them over to see an exhibition of your project work, we can invite people to join us at other stages – for example, if we are doing a particular piece of art, or going on a field trip. Sharing and discussing ideas with friends and family often leads to new ideas! When do we do project work? We will set special times in the week when I will be 100% available to you to support you doing project work – if you want to do it. If you choose to spend project time reading, playing or anything else while you think about your project, that’s ok too. What if you don’t know what topic to start with? You can take as much thinking time as you need. One way of using project time until you come up with a project idea is to explore our materials eg experiment with charcoal, paint or modelling materials. 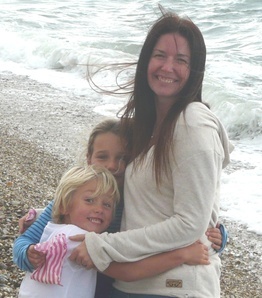 There are many reasons why I absolutely love the idea of project-based homeschooling. Here are just three. I love that each child “owns” his project – he decides the subject, how to do it, how to share it, and when it’s complete. The adult’s role is to mentor and support in whatever way the child requests. This is going to be a learning experience for me – my natural way is to either take over, or leave them to it – but the practical point I learned from the book is to schedule blocks of time when I am able to give 100% of my attention to each child to support, facilitate and mentor them in their project. I’m all for pretend play and encouraging kids to use their imaginations. But for kids to do their best work, to learn and to love the process, the ideas have to come from inside them, they can’t be contrived. As well as learning about the subject of their project, children doing project-based learning are acquiring life skills that will serve them in the real world. They are learning where and how to find what they want to know, using real, twenty-first century resources. They’re learning how to put together what they have learned in meaningful ways, and they’re learning how to present their ideas in ways that make a contribution to others. Ahhh, sigh of relief. I don’t have to get it all 100% right immediately. I can risk beginning this! i hope you’re going to join the forum, also. i want to know how things are going! Thank you, Lori! I honestly am so appreciative of the contribution your writing has made to my family. And yes, I am looking forward to participating in the forum!